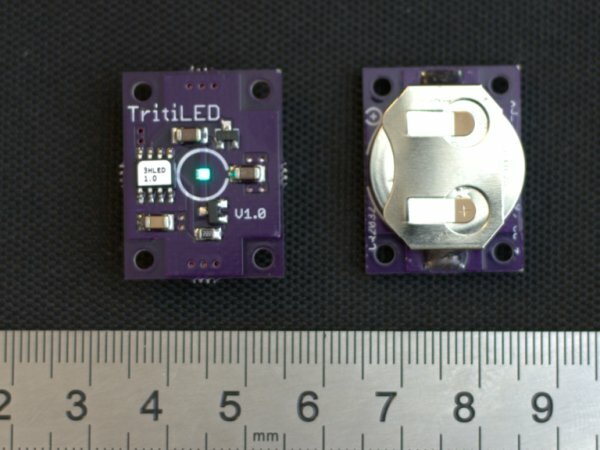 TritiLEDs are always-on battery powered LED glow lights for general night-time marking use. 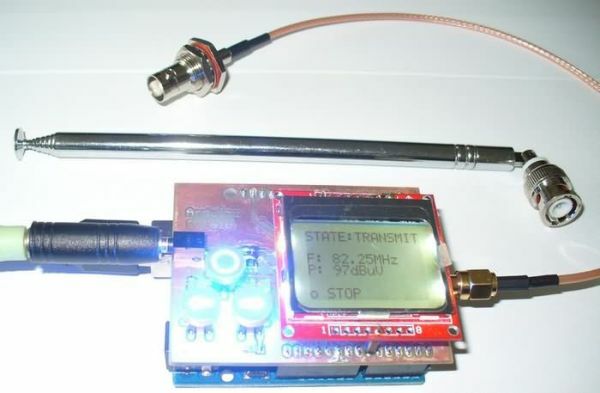 Radioactive gaseous tritium light sources (GTLSs) are allowed in the United States in several consumer product categories, including watches, compasses, and gun sights, but general-purpose markers are considered “frivolous” and are prohibited. 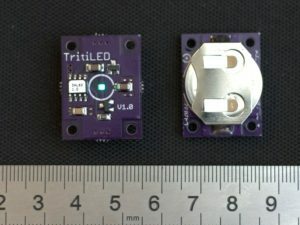 Leveraging advances in LED efficiency, battery capacity, and microcontroller technology, TritiLEDs run from 1 to 25 years depending on battery choice, and while larger than typical GTLSs, can replace expensive and sometimes illegal tritium lighting in a variety of applications (including the frivolous). Version 3.0 of the design is complete and released under an MIT license. This is a project born of frustration. As an amateur astronomer and astrophotographer, I often find myself stumbling around expensive and fragile equipment in the dark. A few years ago, I went looking for glow-in-the-dark markers I could attach to tripod legs and other gear to avoid costly accidents. I quickly dismissed traditional glow-in-the-dark (phosphorescent) materials because of their short half-life and the need to “charge” them before use. Chemiluminescent markers (glow sticks) are better in this regard, but are too expensive to continually replace, and end up in landfills after one night’s use. Radioactive markers (especially tritium-based), with their constant glow and multi-year half-life, are technically almost perfect for this application: you can stick them to equipment and you’re done. The problem with tritium markers is that they’re not legal for manufacture or sale as general-purpose consumer devices in the United States (watches, compasses, and gun sights are exceptions). Even where they are legal, they are still quite expensive. This leaves electronic markers, but these often share similar shortcomings with other glow-in-the-dark technologies: constantly charging or replacing batteries, short-duration illumination, or high long-term cost. What I wanted was a small constantly-glowing LED that I could put somewhere and not have to service for a year or more. Unfortunately, most portable LED lamps are designed as flashlights – they emit a relatively powerful beam for a short duration (hours or days) per battery or charge. There’s a race in the industry to make brighter and brighter lights. I wanted to go the other way: relatively dim lights, useful in dark situations, that maximized runtime. Lithium battery powered devices are more dangerous than small tritium light sources, despite the NRC’s paternalistic approach and the general public’s fear of “radiation.” According to the Energizer CR2032 datasheet, an ingested lithium battery can lead to serious injury or death in as little as 2 hours. Further, improperly stored coin cell batteries can short out and cause fires or burst and cause chemical damage. These batteries must be kept out of reach of children and pets at all times, and following Energizer’s advice, batteries should be held in compartments with captive screws or other childproof latching devices. While the neat little glowing LEDs may look like a fun thing for a child to play with, children should not be allowed to play with these devices.